Decorated with antique French textiles, the romantic bedrooms offer a stylish night’s peace and comfort. 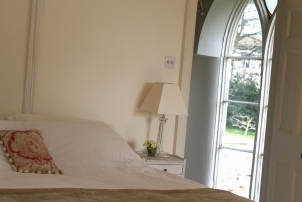 Six foot double beds with Egyptian cotton sheets, roll top baths with stunning views. 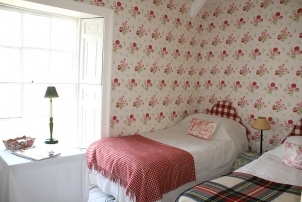 A charming Cath Kidston decorated twin room adjoins - perfect for members of the same group. Ideal for children - books and toys provided. Seperate suite of rooms so babies and small children are completely safe. If you are interested in more rooms get in touch.